Marie Herzogin von Mecklenburg-Strelitz was born on 8 May 1878. She was the daughter of Adolf Friedrich V Großherog von Mecklenburg-Strelitz and Elisabeth Marie Frederica Amelia Agnes Prinzessin von Anhalt. She married, firstly, Maurice Georg Jamatel, Count Jamatel on 22 June 1899. She and Maurice Georg Jamatel, Count Jamatel were divorced on 31 December 1908. She married, secondly, Julius Ernst Rudolf Friedrich Victor Prinz zur Lippe-Biesterfeld, son of Ernst Prinz zur Lippe-Biesterfeld and Karoline Friederike Gräfin von Wartensleben, on 11 August 1914. She died on 14 October 1948 at age 70 at OberkasselG. She was given the name of Victoria Marie Augustine Louise Antoinette Caroline Leopoldine at birth. From 22 June 1899, her married name became Jametel. 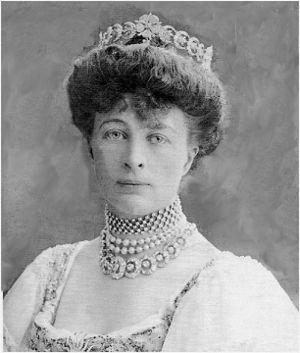 Jutta Herzogin von Mecklenburg-Strelitz was born on 24 January 1880. She was the daughter of Adolf Friedrich V Großherog von Mecklenburg-Strelitz and Elisabeth Marie Frederica Amelia Agnes Prinzessin von Anhalt. She married Danilo II Petrovic-Njegoš, King of Montenegro, son of Nikola I Petrovic-Njegoš, King of Montenegro and Milena Vukotic, on 15 July 1899 at Cetinje, MontenegroG. She died on 17 February 1946 at age 66. She was given the name of Auguste Charlotte Jutta Alexandra Georgina Adophine at birth. Jutta Herzogin von Mecklenburg-Strelitz also went by the nick-name of Militza. [S6] G.E. Cokayne; with Vicary Gibbs, H.A. Doubleday, Geoffrey H. White, Duncan Warrand and Lord Howard de Walden, editors, The Complete Peerage of England, Scotland, Ireland, Great Britain and the United Kingdom, Extant, Extinct or Dormant, new ed., 13 volumes in 14 (1910-1959; reprint in 6 volumes, Gloucester, U.K.: Alan Sutton Publishing, 2000), volume XIII, page 257. Hereinafter cited as The Complete Peerage. [S2] Peter W. Hammond, editor, The Complete Peerage or a History of the House of Lords and All its Members From the Earliest Times, Volume XIV: Addenda & Corrigenda (Stroud, Gloucestershire, U.K.: Sutton Publishing, 1998), page 676. Hereinafter cited as The Complete Peerage, Volume XIV. [S18] Matthew H.C.G., editor, Dictionary of National Biography on CD-ROM (Oxford, U.K.: Oxford University Press, 1995), Cambridge, Alexander Augustus. Hereinafter cited as Dictionary of National Biography. From 12 December 1894, her married name became Cambridge. [S12] C. Arnold McNaughton, The Book of Kings, volume 1, page 230. 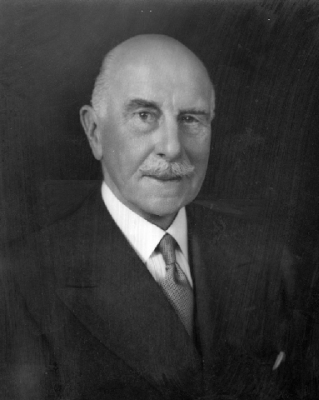 He was given the name of Frederick Charles Edward von Teck at birth. 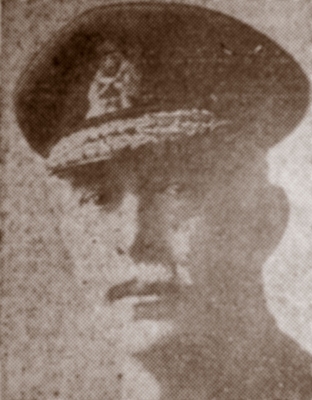 In 1917 his name was legally changed to Frederick Charles Edward Cambridge. He fought in the Second World War.